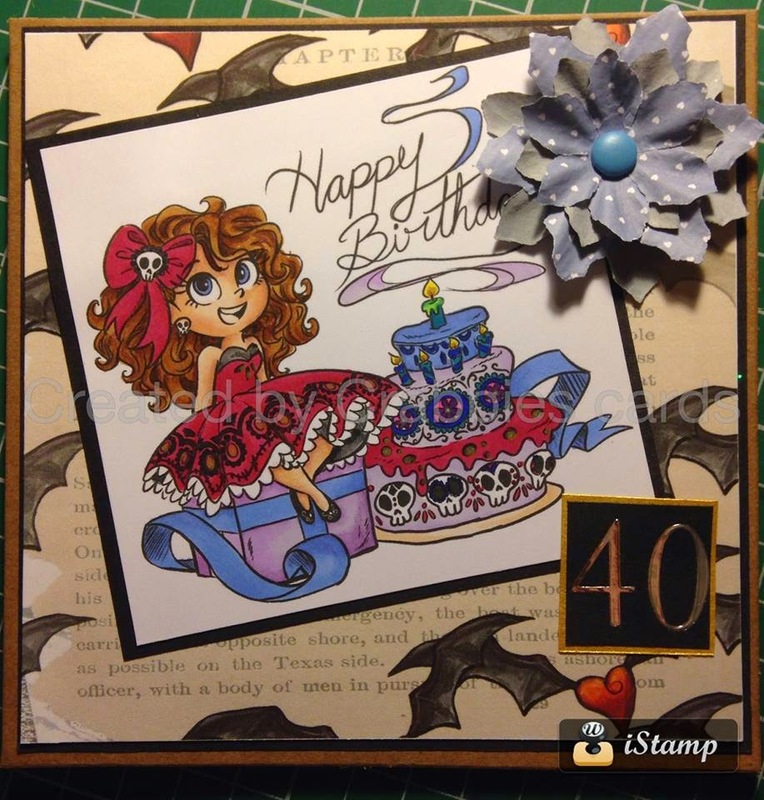 So, Corrine Jones Betty's Design Team manager and ever faithful side kick, thought BLOG hop full of cards that have been posted to Betty would be help make this Birthday extra special. Here's mine, I hope you like it. For most schools here in the UK. The academic year ends this week. My amazing Daughter is a girl who crafts. So to celebrate I made an end of term card using one of her fabulous digital stamps. Thank you for stopping by, there are lots of images and even a challenge running over at a girl who crafts. It would be great if you had time to pop by there too. 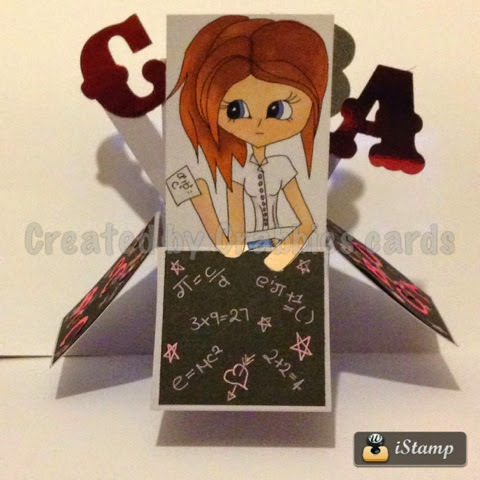 I made this card for the Creata Colour challenge. I hope you like it. I have used 6x6 craft card blank with Creata backing paper. The flowers on the blue square are fussy cut from the same paper as is the flower on the girls dress. The girl is a clear stamp, which I'm afraid I cannot remember where I got it from. It's my amazing Mother in Laws Birthday this week. With out her help and support with child care for my dear daughter I really don't know how my Husband and I would manage. I have created it using a flower stamp I coloured for a Challenge over at Donna Marie's Cards and Pro marker Challenges on Facebook. I have teamed the stamp with some Papers and Die cuts from create. The letter have been cut using Carnival letter die by Doo craft. Time for a new Challenge over at The Stamping Chef. I hope you have your craft creations at the ready to enter. I'd like to share with you my DT project. This week I have used Demented Beauty. She's so sweet but be careful she has a dark side. As always she has been coloured with my trusty pro markers. Then I have used some backing papers and Die cuts from Creata. The sparkly brown paper and the Ribbons are from my Crafty Stash. 613 Avenue Create Challenge #77 Anything goes with a twist of pink. 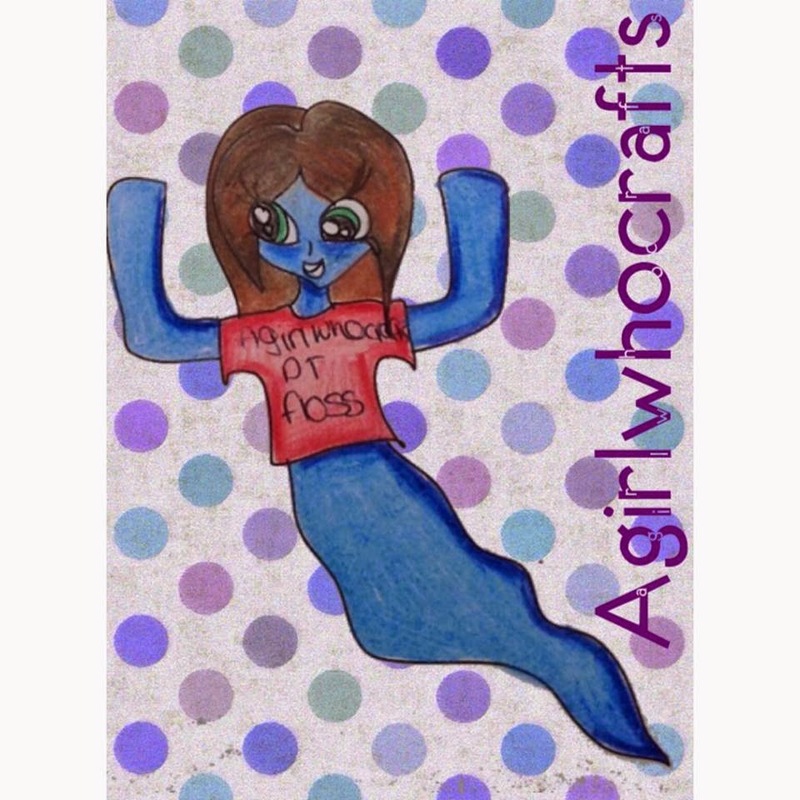 This 1st card is using Having a Ghost of a Time. This beauty has been coloured using my trusty promarker and teamed her with some fabulous papers and dies cuts from Creata. Then inspired by our recent family Holiday I made this one using Dis the Disney Addict. Well have you seen whats happening over at Kit & Clowder and The Stamping Chef. It's very exciting Kit & Clowder facebook group has reached 2000 members and there is a PARTY going on. 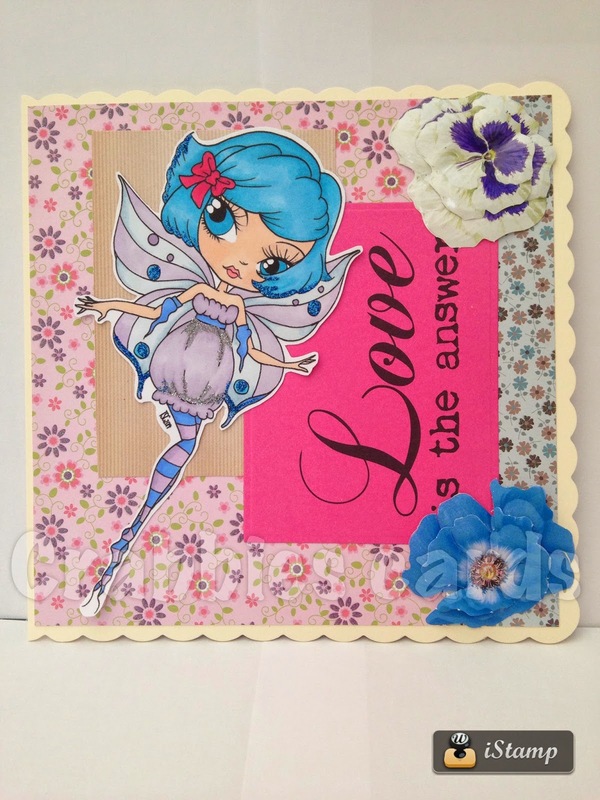 As part of the celebrations The Stamping Chef has created this fabulous fairy stamp. This is what I have made with her. What will you make ??? Thank you for stopping by, hope you get chance to pop in on Kit & Clowder and the The Stamping Chef.